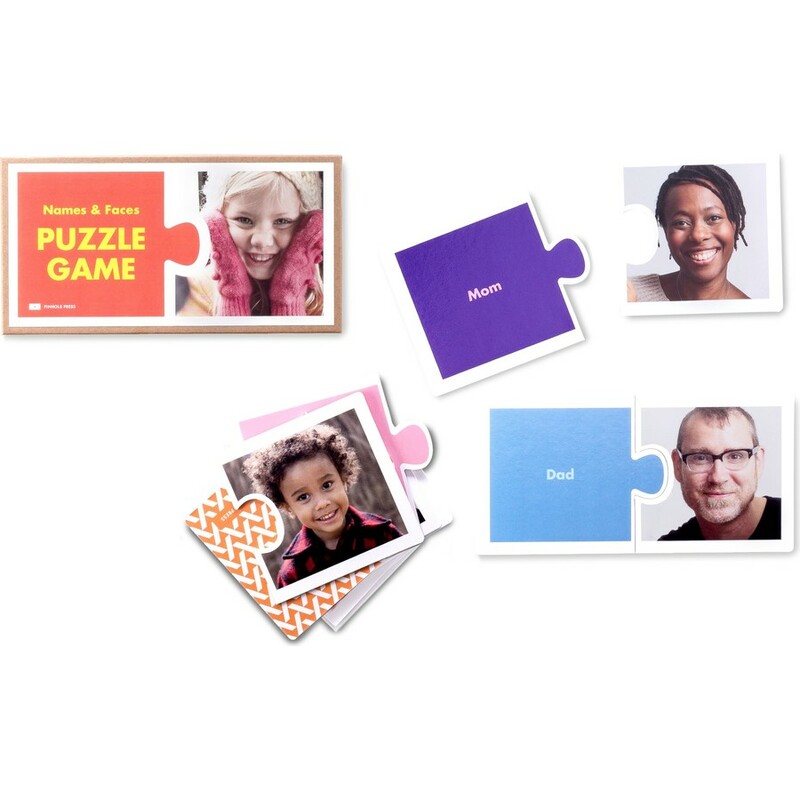 With the popularity of the Mini Book of Names and Faces Board Book, we've made family names and faces interactive with the Names and Faces Puzzle! Each thick, kid-friendly personalized name puzzle piece teaches your child to recognize and then match family photos and names. Pair a family name (Mom) to a family photo (Mom's photo). Once your child has mastered family names and faces, teach your child colors, numbers or shapes. Make her favorite pet or toy the star of its own name puzzle. 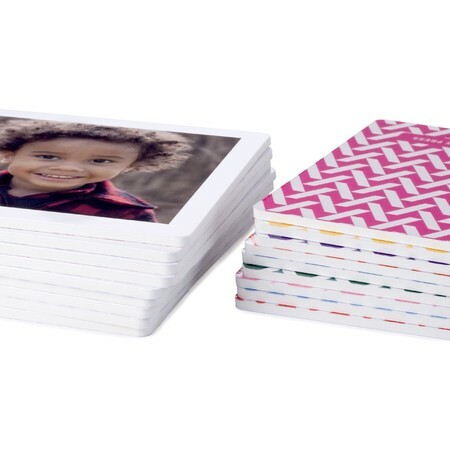 Let your imagination be your guide and create a matching game your child will cherish. Children begin labeling what they see around them with words at around 11 to 14 months' of age. The Names and Faces Puzzle is a valuable vocabulary building tool. In addition to familiar faces, include pictures of pets or favorite playthings to reinforce new word acquisition. Your baby will relish the sight of beloved toys and familiar household objects. Get started with your custom puzzle today and let the learning begin!